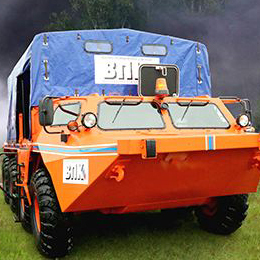 The Military Industrial Company (Russian acronym – VPK LLC) has paid out of pocket, developing the Tigr BMA armoured casevac. 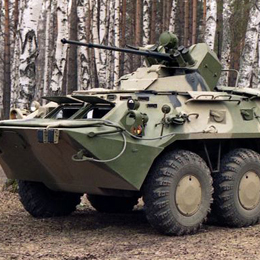 The concept of a casevac on the Tigr’s chassis dates back as far as 2009 when the Neva Express high-speed train suffered an accident. At the time, 28 persons died in the crash. Many could have been saved, but the ordinary ambulances were unable to reach the crash site closer than 1.5 km due to inaccessible terrain. The baseline model carries four wounded on litters or four sitting wounded. The casevac’s crew may include the driver/medic, doctor/doctor’s assistant and/or nursing orderly. The vehicle can be outfitted with any medical equipment the customer wishes, including special intensive care equipment. The casualties are loaded right on the litters via the single-leaf rear door. The lower part of the door is hinged downwards, thus creating a ramp with steps to facilitate entry, especially when carrying casualties on litters. 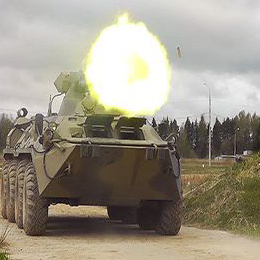 To brief up the vehicle’s night-time operation capabilities, it is equipped with four searchlights – one on the roof (the place traditional to the Tigr) and three at the rear of the roof. 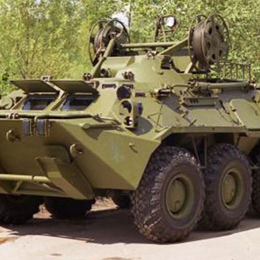 The comfortable environment for the casualties and medical crew is owing to a new armoured body with the 10.3- m³ internal volume, which is mounted on the chassis of the baseline Tigr. The useful internal volume accounts for 7.7 m³. This allows placing casualties on litters one above another and provide the medical crew with unimpeded access to them to administer first aid right on the move. The armoured body and bulletproof windows of the casevac meet the STANAG 4569 Level 2 standard of ballistic protection. 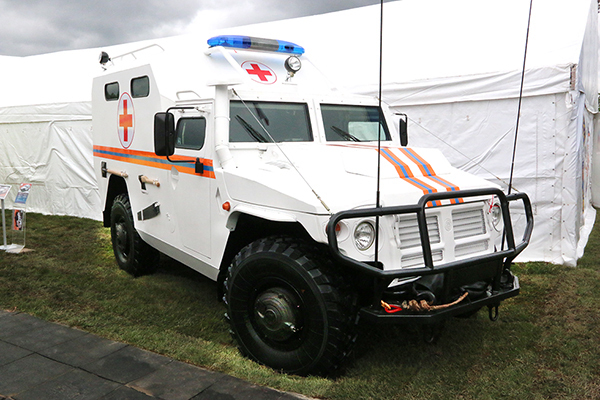 As to the basic characteristics of the Tigr casevac, they remain unchanged as befitting the characteristics of the Tigr armoured wheeled vehicle family. 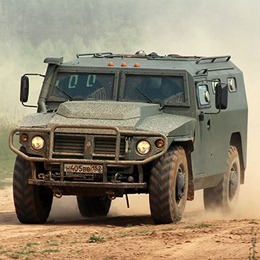 The Tigr can operate in various climes, in broken terrain, 24/7 and in any season. The Tigr armoured wheeled vehicle featuring an enlarged internal volume also can be used as the cassis for command and vehicles requiring high manoeuvrability, crew comfort and, certainly, reliability.